Abe and Rose Kelman Androphy were my maternal grandparents. This section is about Abe Androphy. This photo was probably taken sometime after their marriage in 1920 in Bridgeport, Connecticut. They lived most of their adult lives at their home on 33 Spring Street in Derby, Connecticut. They also had a cottage on Wildemere Beach in Milford Connecticut where they lived during the summer. I remember both homes very well since I spent much of my childhood visiting my grandparents. Abraham E. Androphy (1895 -1966) was my grandfather. I was his first grandson. Grandpa Abe was a wonderful grandfather, father, husband and brother. He was a kind man, strong as an ox, a natural teacher, a quick study with an inquisitive mind who was accomplished in many disciplines relating to business, electricity, electronics, construction and architecture. He ran a successful radio, television and GE appliance business for many years (more on that later) and he was also a licensed electrician and a general contractor who designed and built new homes. He was also active in public service in Civil Defense and as an Auxiliary Police Officer in Derby Connecticut. He and my grandmother loved to travel and visit their many grandchildren and other relatives. He was married to my grandmother, Rose Kelman Androphy, for over 50 years, until the day he died. They were wonderful grandparents and I was fortunate to spend a lot of time with both of them when I was young. They were a both a major influence on my life. Note: I am writing this recollection from memory from the stories that my grandparents told me and from the many photos that they showed me when I was growing up. Any errors in the story are mine. Grandpa Abe grew up in Brooklyn, NY. That's why he spoke with a Brooklyn accent. He grew up in a poor family, and, although he never used the word, today we would call it a tenement. According to the Census Records, the family lived in Brooklyn Ward 26. 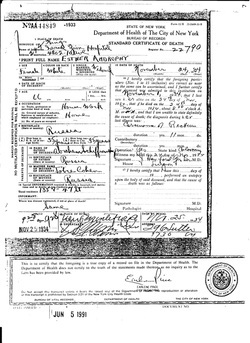 According to Shaine (Jean) Androphy's birth certificate, they lived on Division Street in Brooklyn in 1897. Based on research from cousin Rabbi Ronald Androphy, and my own research, the family's name was not originally Androphy. The 1900 Census taker had made an error. Either the census taker could not understand the way the name was pronounced, or he/she had misspelled the name. 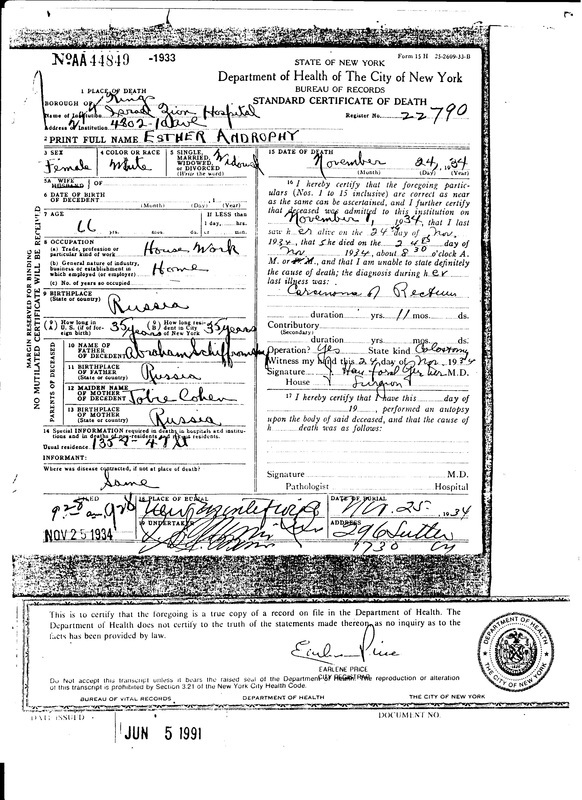 According to the US Census Records, the name was originally Androfsky or Androwski. Anyone with the last name or related to someone named Androphy (And-row-fee) are probably related to each other since the name is unique. Abe's parents were Joseph Androwski? (Androphy) born in "Russia" in 1862 and Esther Shaprinsky Androphy (1866-1934). 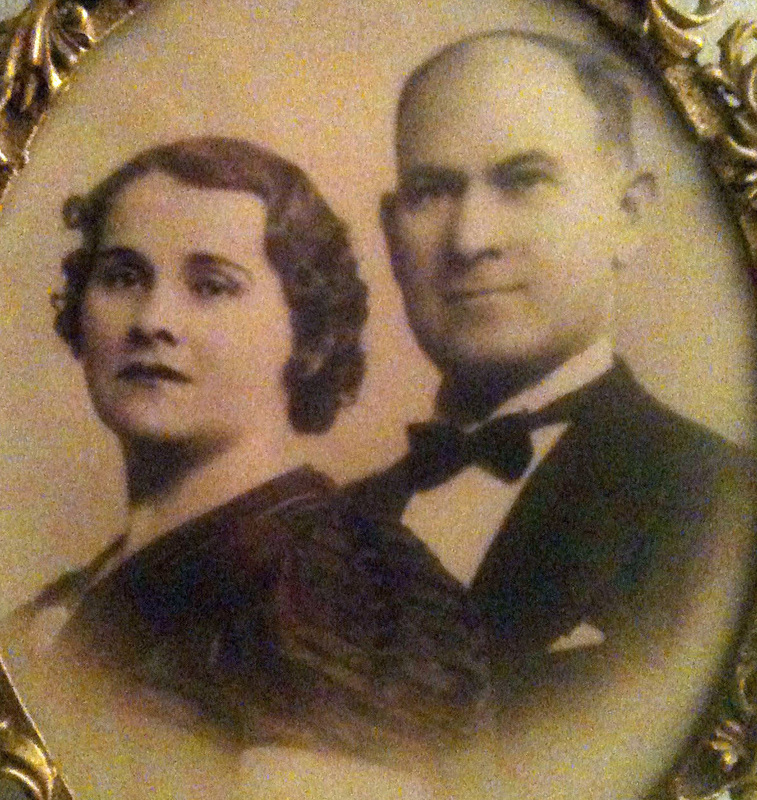 Great grandmother Esther's parents were Abraham Shaprinsky and Tobie Cohen Shaprinsky. Esther was also born in "Russia" on April 1, 1866 to Abraham Shaprinsky and Tobie Cohen. I used the term "Russia" in quotes because that was was written in the record but it generally refers to anywhere in Eastern Europe. This is probably a picture of my great-grandfather Joseph Androphy or Androwski. I cannot be certain but it was in my mother's possession and was probably given to her by her father. The four children in the Androwski family around the turn of the century were Grandpa Abe who was born March 15, 1895. Younger sister Jean Androphy Monheit was born in New York on April 11, 1902. 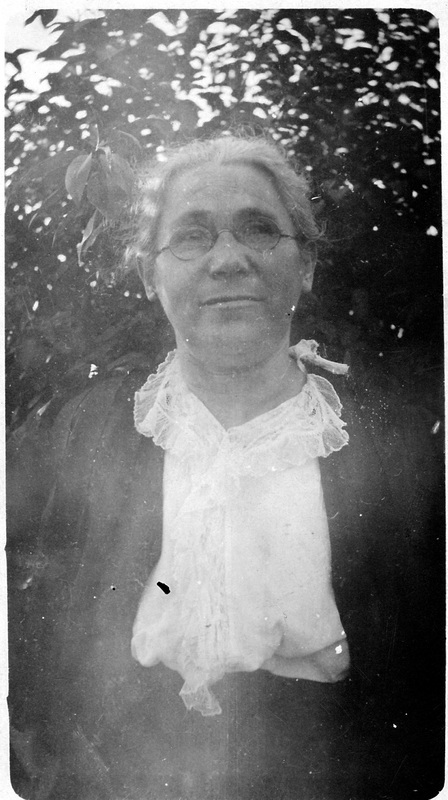 Aunt Jean married Elias (Al) Monheit and had three children. She passed away on May 25, 1963. in Brooklyn, New York. While he did tell me about his early days in Brooklyn, Grandpa never spoke to me much about his parents. He did tell me that his father (my great-grandfather), Joseph Androwski, abandoned the family when he was was around ten years old. No one seems to know what happened to Joseph Androwski?. There were some family stories that he went to South America but it was more likely that he just moved a few miles away. This was not uncommon in the days before Social Security IDs and other modern ways to track missing people. After his father abandoned the family, Grandpa Abe left school to help support the rest of the family. He could not remember exactly when he left school, but he was relatively young he recalled, probably in the 5th or 6th grade. Students in the New York City school system were not tracked closely or obligated to attend school, so it was no big deal in those days. However, he always regretted not having a better education, but it never seemed to hold him back in life. He told me that he supported himself and his family by doing odd jobs. On more than one occasion he talked to me about how he delivered Straw Hats or "Boaters" to "millionaires" all over New York City. He told me that he and his brother, Jules, worked together on many of these jobs. He said that the pay for delivering the hats was small, but the tips were good. 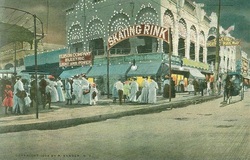 He and Jules also sold Hershey Bars on Coney Island, a major resort and amusement park in Brooklyn/New York City.